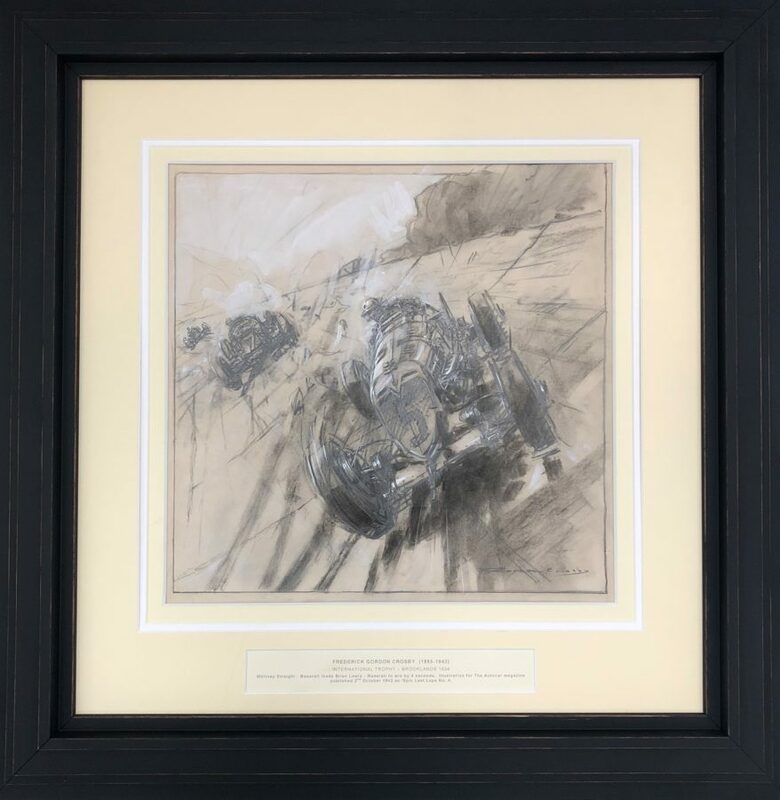 A fabulous drawing on artists’ board depicting the 1934 Brooklands International Trophy, Whitney Straight – Maserati leads Brian Lewis – Maserati win by 4 seconds. 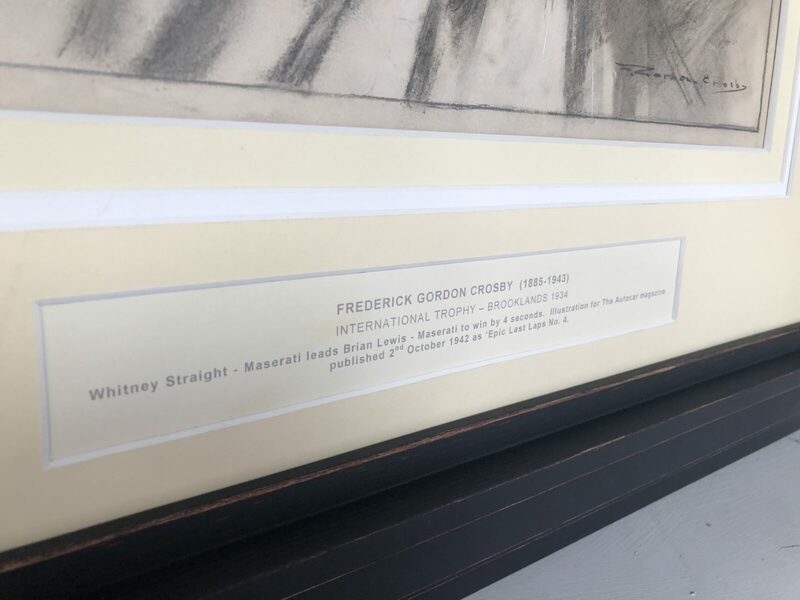 Framed with a triple stepped acid-free mount with a gold detail, black oak frame. External frame size: 70 x 72 cm.